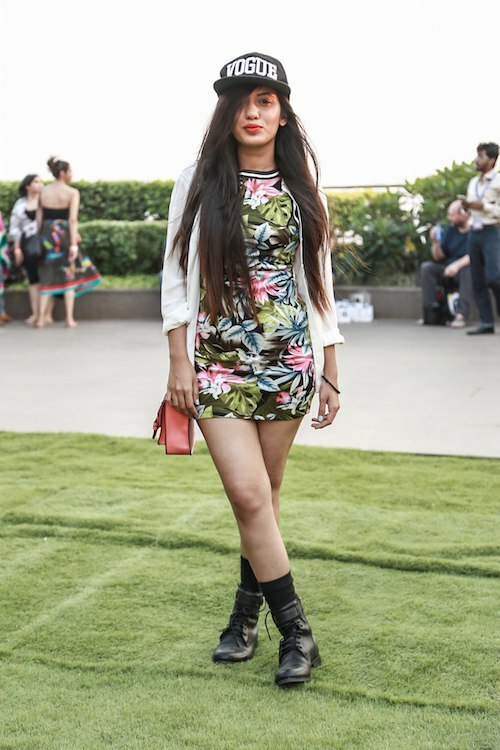 Our social media manager, Snehal Fernandes, makes an appearance at the fashion week in a sporty chic outfit. 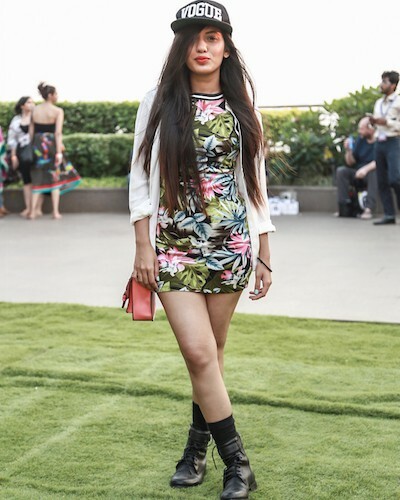 She wears a short floral printed dress with a white shirt and lace up boots. Ofcourse, nothing shouts sporty more than a cap! For more street style from POPxo, check out our fabulous Instagram feed!